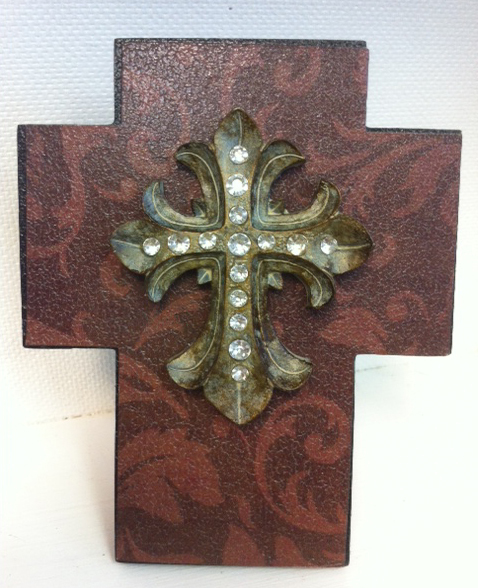 This inspiring 5" x 4" Standing Cross is multi layered with a smaller resin cross studded with faux rhinestones on textured brown floral leaf print. 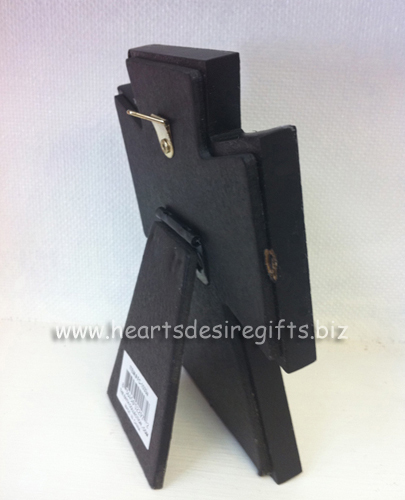 This Standing Cross is the perfect size for a desk, coffee table, shelf or mantle. This cross can stand alone or be hung on a wall. There is a wall hook on the back (see inset picture). This Standing Cross has a wonderful Old World Charm and will look great with any decor. Material: Medium density fiberboard, or MDF, which is a composite wood product similar to particleboard and is appropriate for many applications, from cabinetry to moulding, because it is smooth, uniform, and won't warp.